We developed an ”augmented violin”, i.e. an acoustic instrument with added gesture capture capabilities to control electronic processes. We report here gesture analysis we performed on three different bow strokes, Détaché, Martelé and Spiccato, using this augmented violin. Different features based on velocity and acceleration were considered. A linear discriminant analysis has been performed to estimate a minimum number of pertinent features necessary to model these bow stroke classes. We found that the maximum and minimum accelerations of a given stroke were efficient to parameterize the different bow stroke types, as well as differences in dynamics playing. Recognition rates were estimated using a kNN method with various training sets. 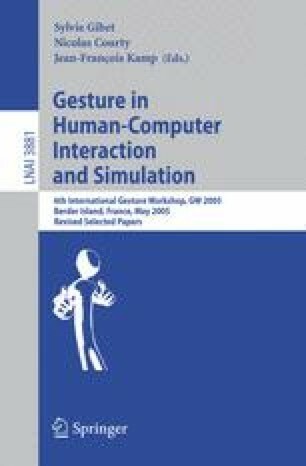 We finally discuss that bow stroke recognition allows to relate the gesture data to music notation, while a bow stroke continuous parameterization can be related to continuous sound characteristics.